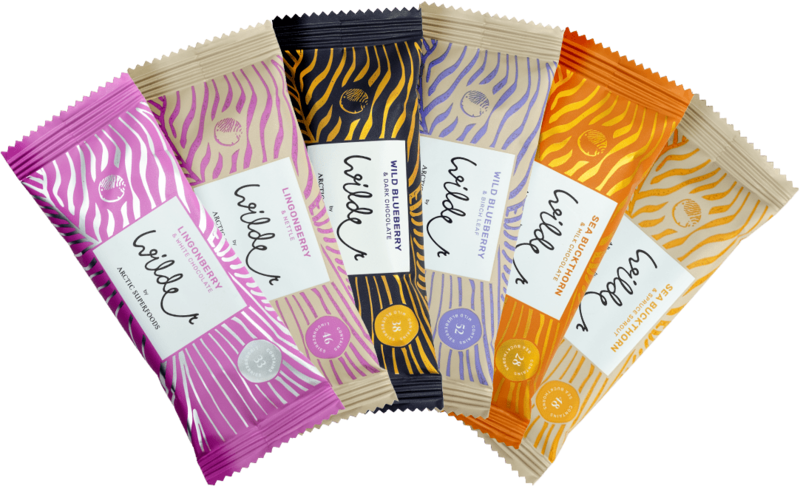 Wilder snack bars are rich with the brightest stars of pure Nordic nature: wild blueberry, lingonberry and sea buckthorn. All six delicious and indulging Wilder flavours. Nurtures the body and balances the mind. FREE OF ADDITIVES, GLUTEN FREE, DAIRY FREE, SOY FREE, NO ADDED SUGAR, HIGH FIBRE. Brings a zing of happiness and rush of energy. Maintains vitality and gives energy. Strength for the mind with natural antioxidants and a hint of magic. FREE OF ADDITIVES, GLUTEN AND DAIRY, NO ADDED SUGAR. A positive punch for the body with an indulging sweet coating. Energy and feel-good vibes in a small package. All our berries and wild herbs come to us fresh from our trusted local partners in Finland. We do our utmost to source all other ingredients from as close as possible. As an innovative and forward-thinking company, we are constantly testing new flavour combinations with other local wild berries as well. The base of our delicious bars has been made of carrots, hemp seeds and gluten-free pure oats. The sweetness comes from the delectably delightful honey. The perfect flavour experience is finalised by adding wild herbs, such as nettle, spruce sprout, and birch leaf. We also have a range of chocolate-layered bars for special moments of indulgence. All of our products are made and packaged in Finland.